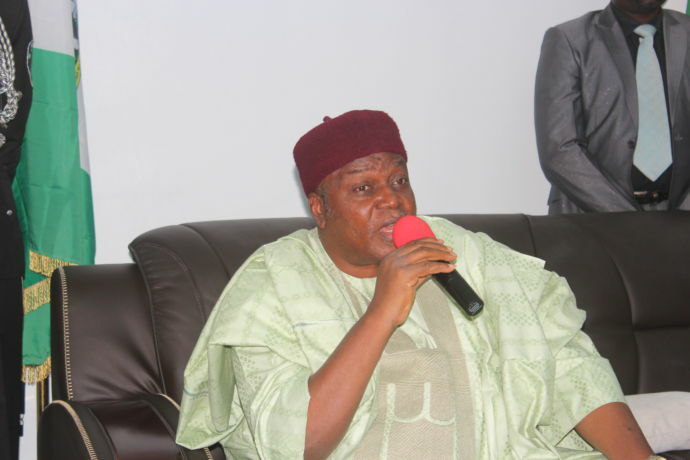 Taraba state governor, Darius Ishaku, has lambasted the Emir of Kano, Alhaji Sanusi Lamido Sanusi, over his comment that the “genocide against Fulani,” by some political leaders especially in Taraba State was causing anxiety in the country. Sanusi was quoted as saying: “The case of Taraba is particularly bad”. Reacting, Ishaku through his Senior Special Assistant on Media and Publicity, Mr. Bala Dan Abu, advised Sanusi to emulate the leadership style of the Sultan of Sokoto, Alhaji Sa’ad Abubakar, who has been preaching peace across the country. “The truth of the matter is that there has never been genocide against Fulani in Taraba. What the emir is talking about was a communal clash between the Fulani and the Mambila in Sardauna local government area of the state in June last year. “In that communal clash, both sides suffered casualties and the figure of deaths from both sides put together was nothing close to a genocide. “Before now, there have been reported cases of killings by herdsmen in Taraba and currently we have IDPs in camps as a result of herdsmen invasion of communities in Lau and Wukari local government areas of the state, but Sanusi has not said a word about these killings, so for him to level such allegations on the governor is most unfortunate,” he said.